What type of gift giver are you? I try to give fun and practical gifts because that's what I like to receive. I don't think the price matters so long as there is thoughtfulness and purpose. Here are some of my luxe for less picks. Which one of these would you want for yourself? I think planners are THE perfect under $30 gifts. What a lovely list, Rowena! Ok, that disco ball keyring is fabulous! Honestly this is such a nice relief. I've only started with the shopping and man it's getting to be super $$$$$$. I need to rethink some gifts now. I need the "I am very busy" Agenda, so I can just hold it up when my husband enters, inquiring about his socks or the likes. The notebook, mug and candles are super pretty gift ideas. Great picks, I love the notebook!! I like giving fun and practical gifts to my co-workers great selection here thanks it was helpful. What great ideas! The candle set is very nice! You're my favorite curator on the web, Rowena! Great guide Rowena, thanks for sharing! I agree with what you said about the price. These are great picks for gifts. Great finds, Rowena. My favorite is #3, so cute. Great cute gifts for under $30! I like the chocolate, lol! 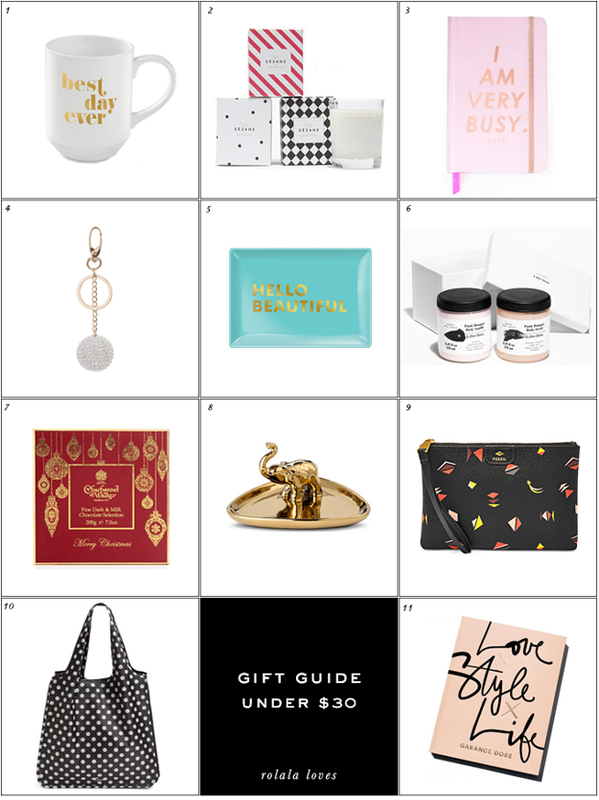 This is such a great gift guide...I'm loving the Kate Spade reusable tote...it is so cute! Nice choices and I have had those truffles and they are amazing! You can never go wrong with nice mugs, books, and candles! These are great picks! We do small gifts with my brother and sister in law and I had no idea what to get. I can't believe that wristlet is under 30 bucks, it's so cute! all sorts of cute little things that any recipient would love to receive. Oh my that other stories set is pure delight, I have one. I love love love that 'I am very busy' planner! I love that tote...and that mug 'best day ever' is adorable. Really cute ideas Rowena! I love that mini candle set. I have #11 and it is great. But I would also love to own that cup and elephant dish. Beautiful guide, the mug is so cute. 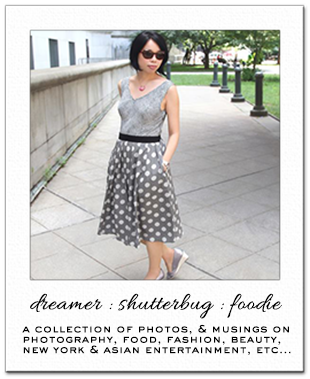 Super cute items. The planners are my favorites.